FREE Old Navy Printed Umbrella! 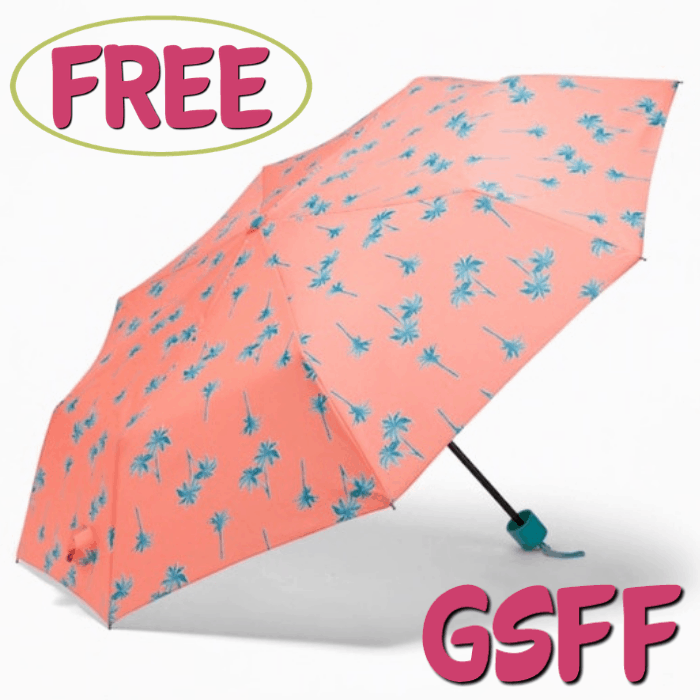 You are here: Home / FREEbies / FREE Old Navy Printed Umbrella! Don’t miss your chance to grab a FREE Old Navy Printed Umbrella for New TopCashBack members! With a smooth and water-resistant fabric, you are assured that you will be safe from the rain or the extreme heat with the Old Navy Printed Umbrella! This umbrella is durable with a pop-color plastic handle and braided cord attachment for easy hanging and storage. The adhesive, secure-close strap holds the umbrella in place when not in use. Durable, pop-color plastic handle, with braided cord attachment for easy hanging/storage. Metal shaft and frame, with an easy quick-release latch. Click on the “Get Offer“ button and it’ll take you to Old Navy. Add at least 1 “Printed Umbrella” priced for $10.00 to your cart then shop as normal and checkout. You must spend at least $10.00 to get this deal. If the price changes or anything happens to the stock, the deal is officially over. Note: Transactions must contain at least $10.00 worth of purchases to ensure the $10.00 cash back is credited to TopCashback accounts. Transactions may initially track lower, but within the 14 days after purchase it will be uplifted and turn payable at the amount of $10.00. Transactions may take up to 7 days to appear in your TopCashback account. The deal is open until 11:59pm PST on 02/02/2019 or until supplies run out; whichever happens first; applicable for purchases made directly after clicking through TopCashback. Only one TopCashback account is permitted per member.